True being a brother, President of the Philippines (POTP) Benigno Aquino III on Thursday defended the use of presidential chopper by movie star and TV host sister Kris Aquino in the launching of a project in Negros Occidental last Tuesday. In a media interview in Lipa City, President Aquino explained that the presidential sister being one of the country’s big individual taxpayers deserve to see the successes of his administration. Earlier, we posted that Kris Aquino campaigns for LP candidates using gov’t air assets, gets ire of netizens. Last Wednesday, Communications Secretary Herminio Coloma Jr. said the POTP’s immediate family members were not prohibited from using official government properties such as choppers and vehicles. “Members of the President’s immediate family are allowed to ride with him in official government vehicles,” Coloma said. The critics claimed that presidential sister used the chopper while campaigning for the administration’s presidential bets. Based on these recent details, not only did Kris Aquino availed of the choppers in Dalaguete, Cebu but also in Negros, critics accused. Truth is hard to hide during these social media ruled times. But for the benefit of the doubt, an inquiry is a most welcomed move. Just don’t hope on any positive result. Busted: Kris Aquino using Presidential Chopper during LP Rally? https://t.co/qZJwXqREGv hang on! READ. 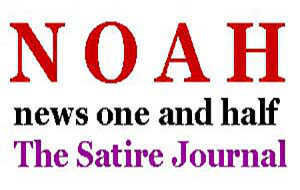 This entry was posted in NEWS, NOAH and tagged full satire, Malacanang, POTP. Bookmark the permalink. Sa mga gigil na gigil sa pag sakay ni kris aquino sa helicopter……na alangan nman sa iba pang sa sakyan gayon isa lugar lang ang pupuntahan ng mag kapatid….ito sa inyo mga sira ulo…..bakit hindi ninyo ereklamo sa korte pati yon pagkain ni kris sa malakanyang ay e reklamo narin ninyo mga ulol ….gusto kasi ninyong palabasin …..na yon ginawa ni marcos na pag nanakaw …..sa pag sakay ni kris sa helicopter ay magnanakaw narin ang aquino. …layo nman ng comparison ninyo…….mga ulol….bobo….huwag lang may mai bintang sa aquino. …he…he…he..